C&G's Alin Tocmacov will speak at MuseumNext, Europe's major conference on the future of museums in Geneva. 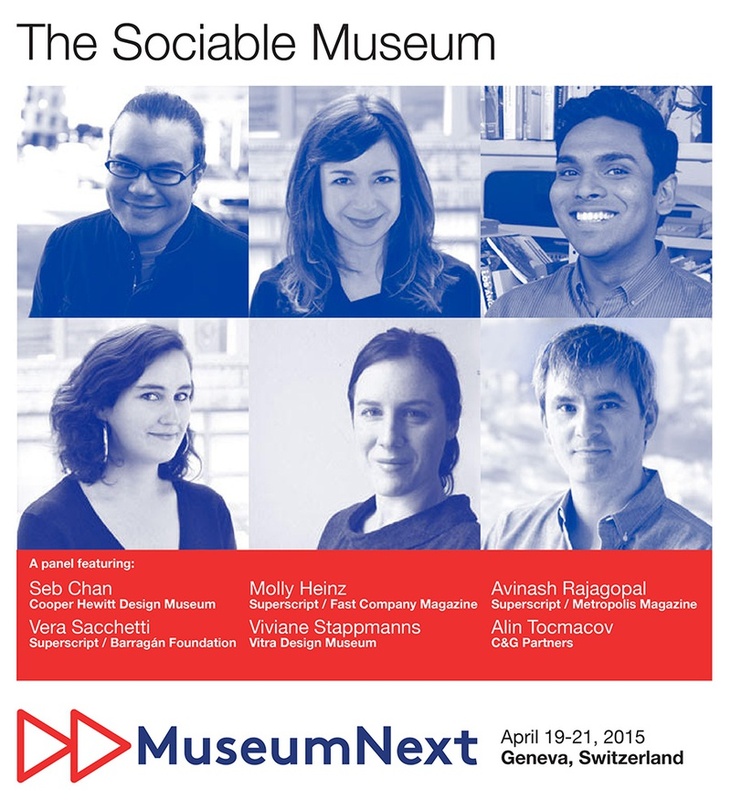 Alin is joined by fellow panelists, Seb Chan, Molly Heinz, Avinash Rajagopal, Vera Sacchettiand Viviane Stappmanns to discuss The Sociable Museum.The mission of museums has expanded greatly in the past decade. In their quest to capture a bigger role amidst the cacophony of popular culture, museums have been pulling out all stops to generate conversations both within and beyond their walls. They’ve tried websites, blogs, online discussion forums, Facebook, Twitter, podcasts, mobile apps, and augmented reality devices, individually and in combination, with mixed success. How can institutions harness digital tools to design these conversations, and make them effective, memorable, and resonant? This panel of museum professionals, designers, and design critics will consider the issue at three scales: Intramuseum, Megamuseum, and Extramuseum.